The main picture prefacing the news article by Roger Harrabin on the BBC website on 8 April 2014 on the final draft report of the Intergovernmental Panel on Climate Change (IPCC) was a stark black and white scene of strong high waves breaking against sea-walls. It drives home the point that island and coastal cities will bear the hardest brunt of climate change. The IPCC report did not have good news to share. In fact, “emissions have been accelerating rather than slowing”. A scan of the world map shows that coastal areas have the highest population density. More than half the world’s population live in cities and more than half of this urban population live in coastal areas, and hence most of the people affected by climate change will be those living in coastal cities. As coastal areas link land to sea, the activities of people living in these areas inevitably have impact on both terrestrial and marine ecosystems. They are the very people who can make a disproportionate difference to biodiversity conservation. Armelle Labadie-Ouedraogo, Isabelle Lavail-Ravetllat and Oliver Hillel highlighted the role that port cities can play in biodiversity conservation. They shared the experience of Brest Metropole Oceane and the Maritime Territories International Network, a step in the right direction. Tim Beatley had written about Blue Urbanism and posed the questions on what city citizens can do for marine conservation. I would like to continue to expound on the issues raised by the previous authors by focussing on what the different residents of coastal cities can do to conserve their biodiversity and to prepare themselves for climate change effects by adaptation and mitigation. We cannot conserve what we do not know. 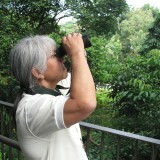 Therefore, biodiversity surveys are essential. Singapore recently embarked on a Comprehensive Marine Biodiversity Survey. The Comprehensive Marine Biodiversity Survey of Singapore (CMBS) is meant to address the above challenge. This ambitious national initiative, launched in 2010, was the first time that a concerted effort was made to comprehensively catalogue the marine biodiversity of Singapore. 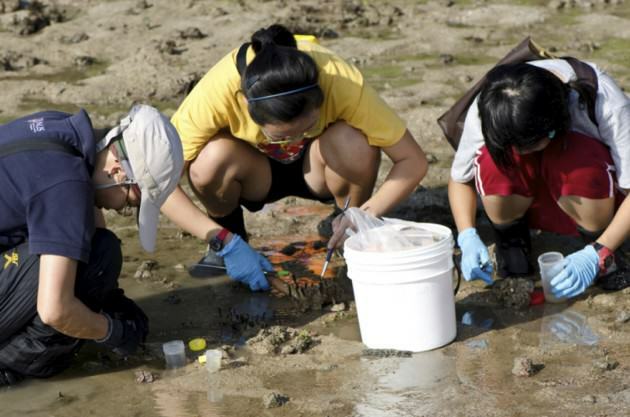 Carried out in phases over five years, the CMBS brought together the larger community of experts, non-governmental organisations, government agencies and volunteers to collect biodiversity information on mudflats, intertidal areas, coral reefs and the seabed of Singapore. This was the key innovation of the CMBS — instead of relying on a limited pool of academia and naturalists to do the survey work, the CMBS set out to accomplish its objectives by bringing together a diverse group of people and organisations to contribute to a large-scale, multi-disciplinary project that is of national importance. The CMBS has now completed two major expeditions in October 2012 and May 2013. Within 3 and half years, CMBS uncovered 64 possible new species, more than 188 new records and 9 rediscoveries. There were numerous rare discoveries made during CMBS. One of 14 species identified as possibly new to science is the “Lipstick” sea anemone. Found in the mudflats at Pulau Ubin, this predatory animal has a distinctive red mouth and may not have been recorded anywhere else in the world. Another species identified as possibly new to science is the orange-clawed mangrove crab found in coastal mangroves and a small goby, nicknamed “Zee” found in mudflats off Lim Chu Kang. Other new records for Singapore include species of jellyfish, stinging nettles, bristleworms, marine slugs, crabs, sea cucumbers, and fishes. In addition, some crabs were also rediscovered during the survey. The zebra crab, found in the Southern islands, was last seen in the early 1960s. A rarely seen tree-climbing Nipah crab was predicted to be in Singapore 20 years ago but was not confirmed until 2012. Even more surprising is the rediscovery of a large coastal catfish species last seen in Singapore waters over 100 years ago — how could we have missed it for so long! Through this survey, we discover species new to science and gain a better understanding of the rich marine biodiversity that Singapore harbours despite the city state’s fast-paced development and port activities. It has been observed that the areas with richer hard coral biodiversity tend to recover better from coral bleaching than species poor areas. Hence, it is important to know what species we have so that we can better conserve them. Biodiversity surveys help us identify areas that need intervention for them to be enhanced if natural ecosystems are to be sustained. Coastal erosion is one prevalent problem that causes biodiversity loss and could benefit from facilitated enhancement. We observed a site where the sea front mangrove trees were destabilized by strong currents. The typical engineering approach would be to build a seawall. We felt that a hard infrastructure would not solve the problem but would instead deflect the waves to another site which in turn would be eroded. We wanted to replant it with mangroves but hydrological modelling indicated that the mangroves would not be able to withstand the strong waves. We decided to test out a hybrid solution, i.e., intersperses a low rock revetment with mangroves. The rock revetment formed a solid base to support the mangroves that were planted in biodegradable pots. Several species of mangroves were used to emulate that of the natural environment. The selection of the species was assisted by observing the species zonation in the surrounding wild patches. Nature is the best teacher. For the enhancement of marine ecosystems, a continuous supply of native species is necessary. 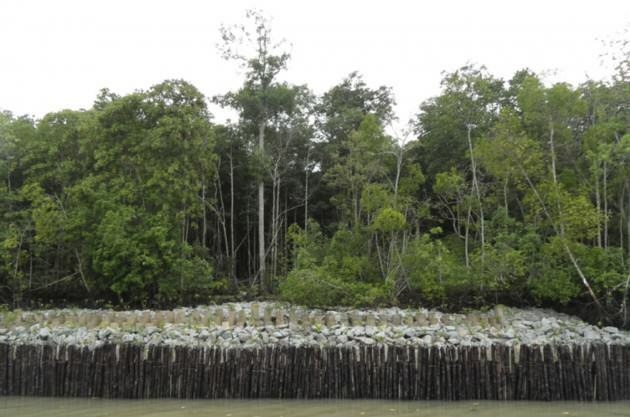 For the coastal protection project, a mangrove nursery was set-up. Seeds and saplings were obtained from the nearby natural environment. This was also done with faunal species, like corals and giant clams. Coral fragments were collected so that no corals were destroyed or damaged when collecting stocks for the coral nursery. 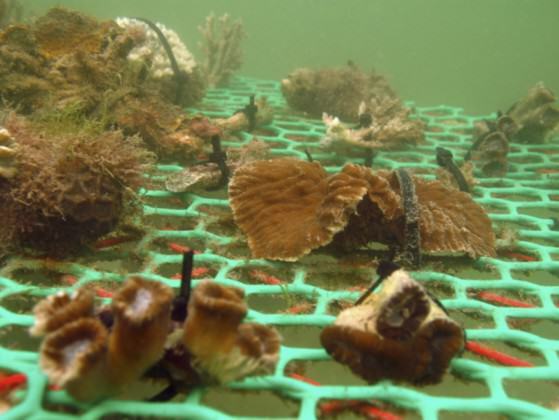 The coral fragments were secured on platforms so that they could grow under optimal conditions. When they reached a certain size, they were translocated to impoverished areas to enhance those sites. 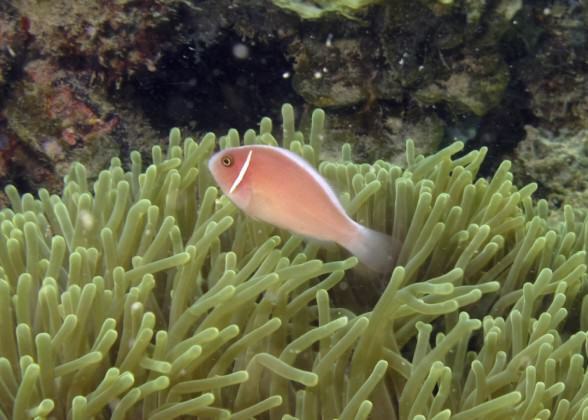 This project aimed to enhance the biodiversity in less rich sites and also to broaden the distribution of the corals, to maximise survival rates of hard corals. We also found that the giant clams needed some assistance for them to thrive. Giant clams are naturally slow-growing so we experimented with ex situ breeding to facilitate its growth. When they had reached a certain size, we released them to suitable habitats and monitored their establishment in the natural environment. What are the most dominant features in human coastal settlements? How can we do more to conserve our marine biodiversity? Where are the areas that are least explored for marine biodiversity conservation? Many of our coastal cities have hard infrastructures like seawalls, jetties, marinas, etc. People do not normally associate these structures with biodiversity but they are most prevalent in our built-up environment. If we want to improve our quality of life, we need to bring back the biodiversity that provides us with essential ecosystem services or populate our built-up environment with marine flora and fauna. Moreover, marine biodiversity can do all of the following without additional energy input from us — nor would they release more carbon into the environment. Firstly, marine fish, shrimps, etc. provide us with a long-term supply of proteins, if we harvest them on a sustainable basis. Secondly, filter feeders can clean up the water. 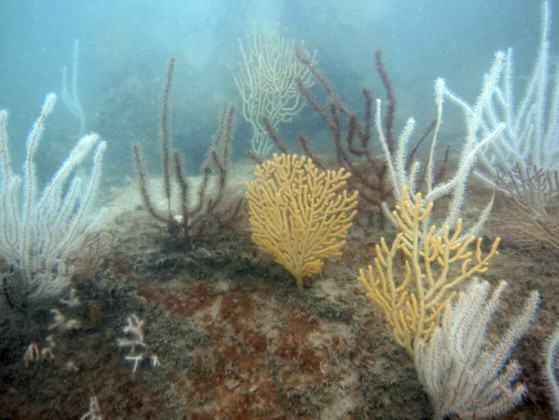 Thirdly, marine plants can aerate the water, hence, maintaining the oxygen levels in water. Fourthly, marine biodiversity increases the recreational and tourism values. The list goes on and on. We decided to work with multi-agencies, marinas, condominiums, etc., to populate our coastal infrastructures. We are currently working with a team from the university to design tiles with different textures that can be attached to seawalls so that each texture would attract different kinds of marine organisms. One of the marinas has reduced the cleaning of their hard structures and the result is the proliferation of soft corals and other marine organisms. These marine organisms add colour and beauty to the marina besides carrying out several ecosystem services for free. These are some of the ways we have tried to conserve our marine biodiversity. A coordinated approach to development and marine conservation like the integrated urban coastal management (IUCM) will ensure that utilization of resources is optimized. To track whether these efforts are effective, it is crucial that quantitative monitoring systems are put in place. The Singapore Index on Cities’ Biodiversity is an evaluation tool that could be applied for this purpose. There is so much to do. The entire population has to be galvanized to implement marine biodiversity conservation efforts. Everyone is a stakeholder. Many of our conservation efforts are carried out with the help of volunteers. It is increasingly evident that the marine environment is a treasure trove for innovative pharmaceutical, cosmetic, and industrial products. City residents will stand most to gain from successful marine biodiversity conservation. With the concentration of humans in coastal cities and the diverse expertise that they harbour, coastal cities can perform miracles for marine biodiversity conservation with imagination spiced with thinking out of the box. More importantly, coastal cities must do it because they are the most vulnerable to adverse effects of climate change and biodiversity loss.